Aussie songstress Cosima De Vito has broken cover on her brand new single ‘Right Here, Right Now’. The track represents the first new music for the former Australian Idol songstress since 2007’s ‘Movin’ On’ EP and will come bundled with a club mix by Tho$e Deejayz. 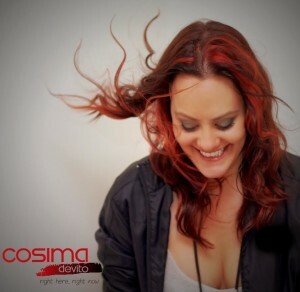 In further good news for Cosima’s fans, the track’s release date has been pulled forward. It will now hit digital retail on Wednesday October 10. It’s out now on iTunes. So happy it was pushed forward to a Wednesday release. It’s a real dance track that is very rocky also. Great cover. Can not wait ofr this single. Been far too long.